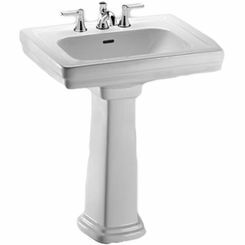 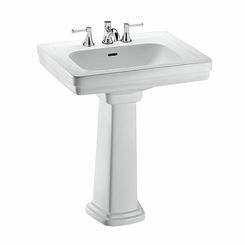 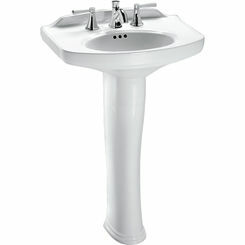 If you have a small bathroom, then a complete pedestal sink is one of the best options for you. 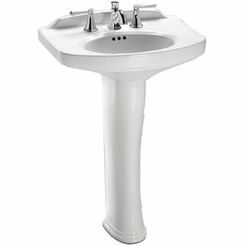 PlumbersStock carries brand names you can count on, as well as the best prices you will find anywhere online. 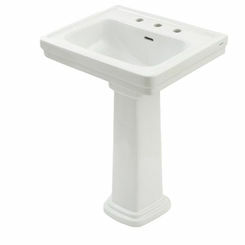 Pedestal sinks are a classic choice. 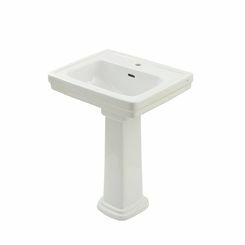 At PlumbersStock you can buy pedestal sink bases and pedestal sink tops separately, so if you are looking to replace a cracked sink top, then we have you covered. 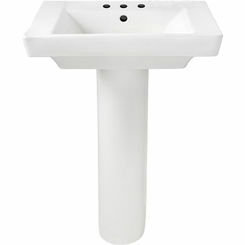 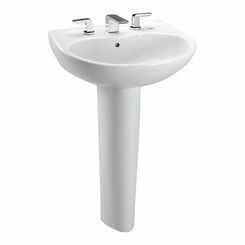 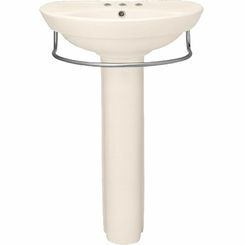 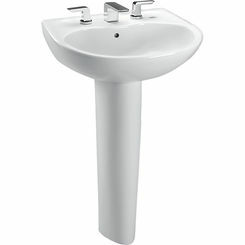 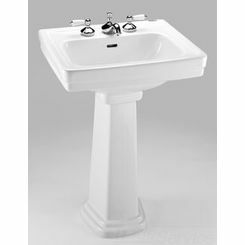 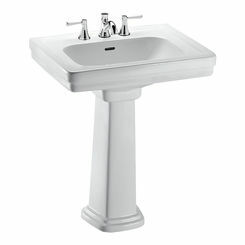 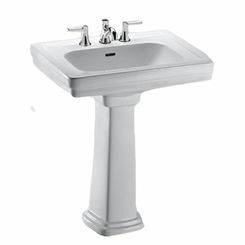 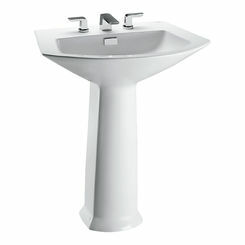 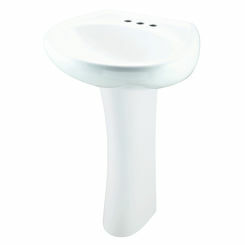 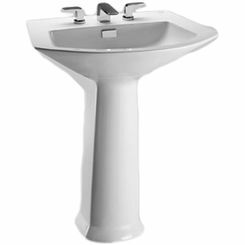 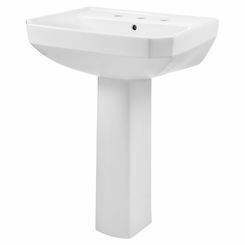 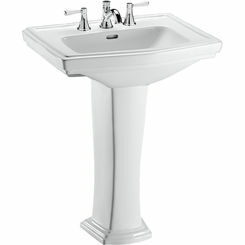 Pedestals offer all the necessary features you need in a lavatory sink, and best of all they offer space-saving design. 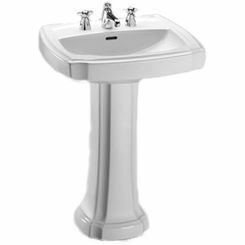 The one drawback is that you will not have cabinets underneath the sink unit for convenient storage, so you will have to find other solutions for your sundries.